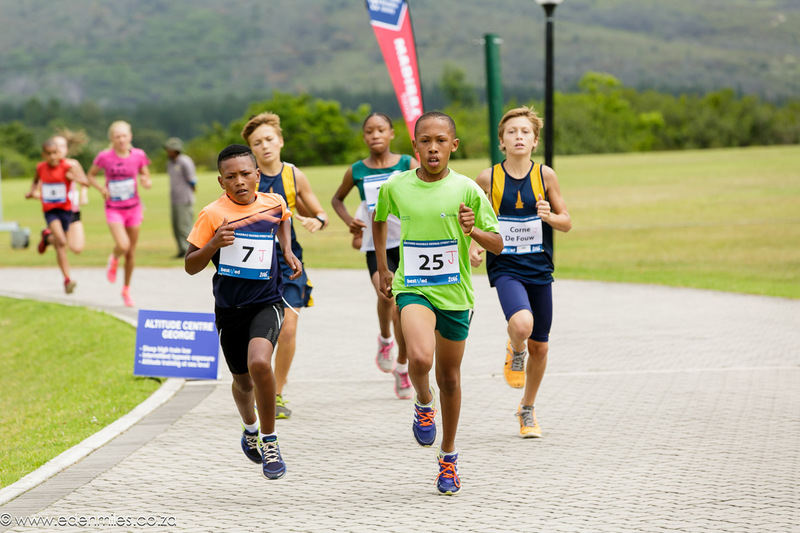 Our inaugural NMMU Madibaz Street Mile in George was well supported with a total of 85 runners participating in the various categories. 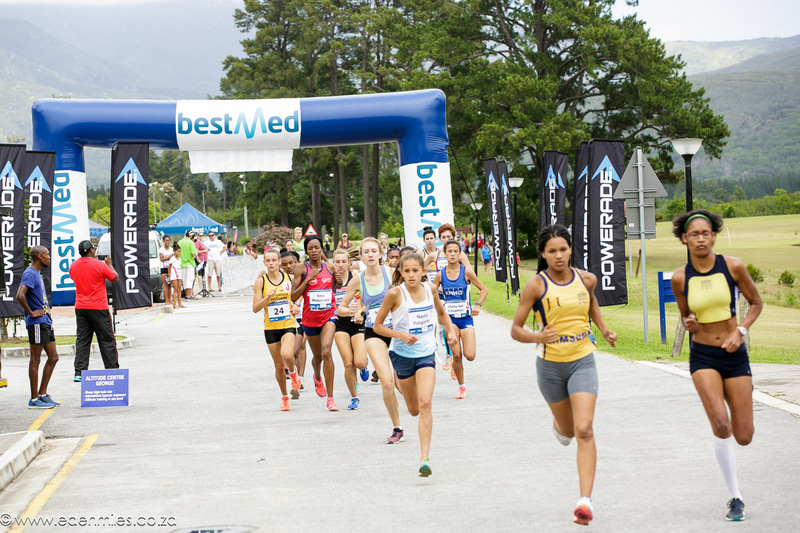 16 year old Simonay Weitsz (KPMG) was once again the winner in the ladies open race in 4:52,23. 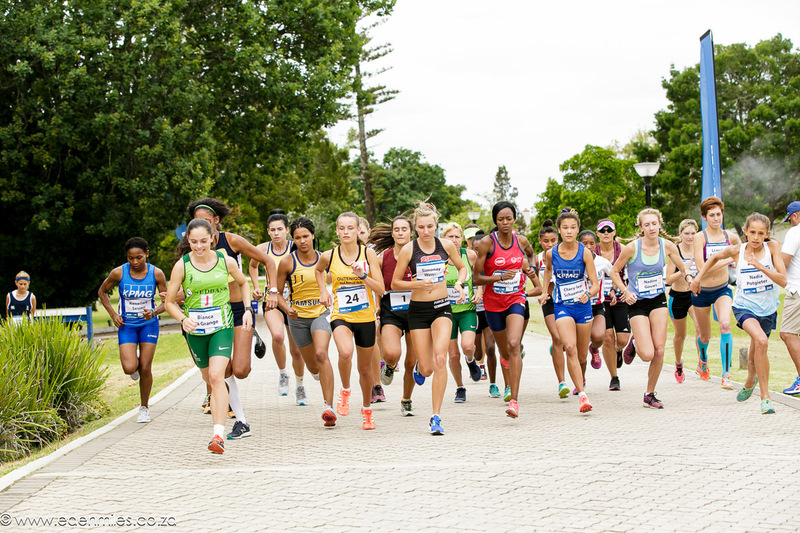 This time she was leading from the start and was initially chased by Kesa Molotsane (Kovsies) and Pam Madoa (NWU Puk). 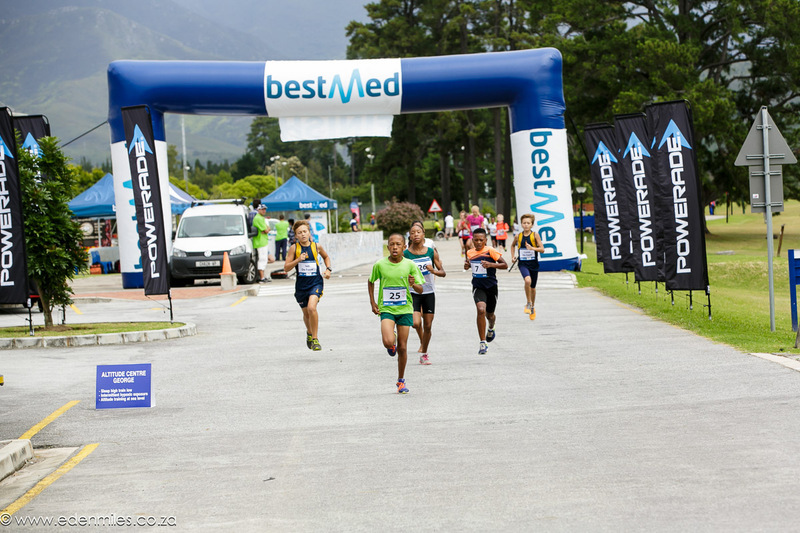 Triathlete Andrea Steyn (The Bicycle Company) pipped Molotsane at the line to finish in 2nd position. 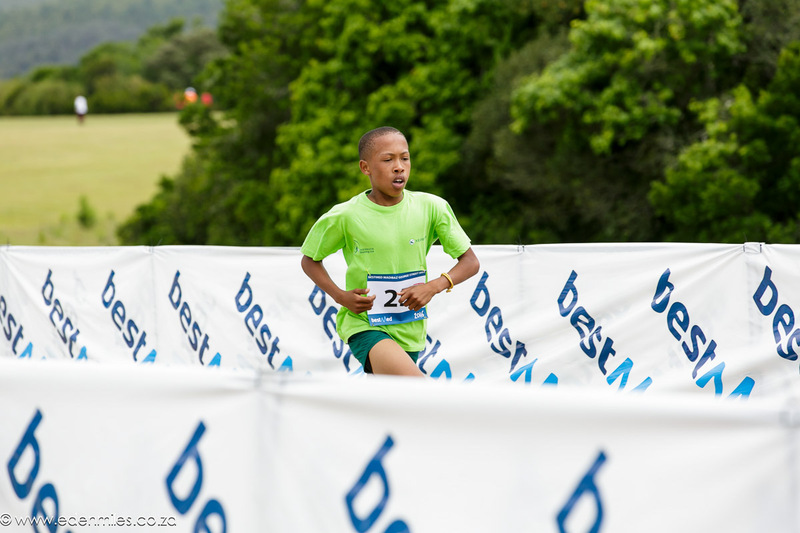 The men’s race was joined by Elroy Gelant who earlier in the morning won a 10km road race in Mossel bay in a time of 30:00. This time the race was a much more tactical affair with 600m was passed in around 95 seconds. 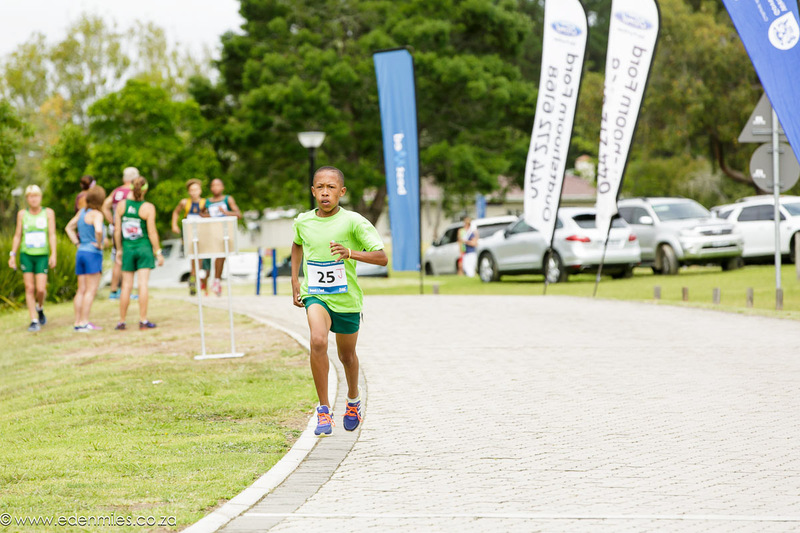 The leading bunch of runners were watching each other until the 1000m mark when youngster Bruce-Lynn Damons (Celtics) took the lead. With 400m to go Dumisane Hlaselo (UJ) started the sprint for the line and it was clear that no-one was going to catch him. He finished in a time of 4:02,15 and was followed by Gelant and Amos Nyongo. In the Grand Prix competition form men Dumisane Hlaselo is the leader with 38 points with Nyongo only 2 points adrift. In the ladies competition Weitsz has maximum points of 40 with Steyn in the second postion with 35 points. 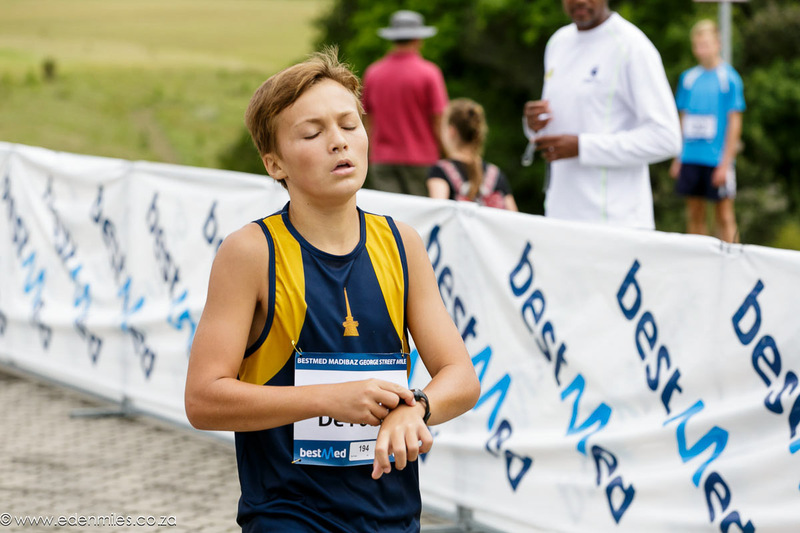 We look forward to seeing you in Hartenbos on Wednesday for the 33rd edition of their street mile (as far as we could establish is the Die Burger ATKV Hartenbos Street Mile the oldest street mile in South Africa).